Last weekend my wife dragged me to a Japanese movie and I have to say that I quite enjoyed watching it. She is learning Japanese and so naturally was overjoyed when the practically inactive Japanese embassy announced their annual film festival. The film that we decided to see was called ‘Shodo Girls’. Seemed like an interesting enough plot from the festival brochure, so thought we’d give it a try. What did we have to lose anyway? Entrance was free! I was praying for subtitles though. The film is about a calligraphy club formed by a group of school girls in a small town on Shikoku island. The town is known for its paper mills, a fact drilled into the viewer’s brain by the oft-repeated dialogue in the film that ‘those paper mill chimneys can be seen from anywhere in town’! This particular line fits into the puzzle nicely later on by shaping the gist of the second half of the film. It starts off as a comedy. The girls are shown to be very serious about their kanji calligraphy but in their midst are 3 dorky boys who end up looking like the Japanese version of the 3 Stooges. They provide some much-needed entertainment to this club which is filled with its share of teenage girl drama and politics. Add to this, a new teacher/adviser whose quirky methods confuse and annoy the girls to no end, and you have an interesting movie. The film is quite funny and enjoyable but does get saccharine and dramatic in parts. I greatly enjoyed seeing small-town Japan though. 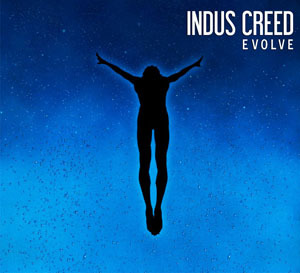 Indus Creed – Back with a bang after 17 years! 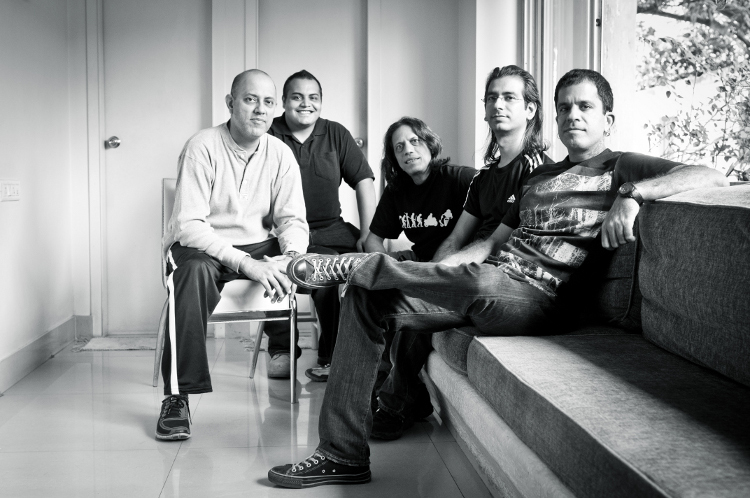 When I heard that the premier Indian rock band from my teenage years had reunited and were going to come out with a new album called ‘Evolve’, I could hardly contain myself. I was so happy that I messaged friends and family on facebook about the good news. I even went to their official website and listened to an interview of lead vocalist Uday Benegal in the hopes of getting clues on what they were cooking up on the new album. Then the release date came and of course, the CD was not available in SA… no surprises there. Wife to the rescue!! She was making a short trip to India anyway, so I begged her to get the album for me. Hence it has taken me a couple of months to physically get this album and listen to it, in case anybody is wondering why I am writing this review a little late. With that out of the way, let’s talk about the music. When I listened to that interview back in April I heard Uday saying that they were listening to a lot of Porcupine Tree and that ‘In Absentia’ was one of his absolute favourite albums. Now that I have listened to ‘Evolve’ at least 3 or 4 times, I see where he is coming from. Opening track, ‘Fireflies’ sounds exactly like something Steven Wilson would come up with. From the haunting melody to the subdued echoed vocal style, it is obvious that these guys love Porcupine Tree to bits! And of course the fact that Tim Palmer (mixing engineer for the likes of Pearl Jam, U2 and Porcupine Tree) worked on this album only makes it even more obvious. That said, ‘Fireflies’ is a lovely song and I would like to think that they were going more for ‘inspired tribute’ and less for ‘blatant rip-off’. Track 2 truly delivers with the epic-sounding and anthemic ‘Dissolve’. There are several qualities to this song that I really enjoy – the offbeat percussion in the verses, the guitar solo after the second chorus and lyrics like “No more to run, I am one with my destination” and “the ocean is calling… I dissolve into the blue”. After that enjoyable 1-2 punch, track 3 ‘The Money’ goes into somewhat experimental territory for Indus Creed. It starts with a very unique-sounding electronic beat followed by interesting drum rolls and has Uday singing about somebody stealing money, shaming the whole community and what not. The lyrics here are fairly mediocre and quite repetitive. But it serves as an interesting diversion before returning to full form on track 4. ‘Take It Harder’ has a fantastic opening and build-up that explodes into an easy sing-along chorus. This medium paced rocker has great atmosphere and guitar. Moving on to the second half of the album, ‘No Disgrace’ talks about the perennial mad race to be first at everything in life. This is a topic that is very relevant in India especially and I can think of at least 2 instances where it has been discussed – the song ‘Jame Raho’ from film ‘Taare Zameen Par’ and the central theme in the movie ‘3 Idiots’. Incidentally, both films were products of thought-provoking actor director Aamir Khan. Anyway, musically ‘No Disgrace’ is very progressive. There are influences from the likes of Rush and Dream Theater all over the place. Took a while to grow on me but now I totally enjoy this track. I particularly enjoy the lines “Did they take away your dreams? Douse them all in kerosene. From the crowd you watched them burn. Maybe someday this world will learn… that there’s no disgrace in losing the race”. Track 6 ‘Come Around’ is lovely, has a very unconventional structure to it but seems to drag on a bit at the end. Nevertheless, it’s a nice melodic ditty towards the end of the album. The next song is a slightly funny one titled ‘Bulletproof’. It changes the pace a bit with rapid fire vocals and a rocking rhythm. Not my favourite but not bad either. Finally, the closer on this seemingly short 8 track album is the aptly titled ‘Goodbye’. This song has just the right qualities for that nostalgia-tinged feel-good farewell. Overall, I have to say that I’m quite impressed with this effort despite some obvious influences from other bands here. Also, I appreciate the fact that they mixed things up nicely and did not strictly follow the “verse-chorus-verse-chorus-guitar solo-final chorus” formula. And more than half the album is filled with songs that are longer than the average 5 minute length. There is equal parts experimentation along with their classic style of late 80’s/ early 90’s rock. A job well done! Here’s hoping for more music in the future. Billy Corgan is back! But I shouldn’t add “… with his band of misfits” cos that only applies to Axl Rose, right? Anyway, here’s a little bit of back-story. In 2007 he suddenly decided to bring the old band back together, but funnily enough he did not inform them. So, only drummer Jimmy Chamberlin came back. Nonetheless, the duo charged ahead with an album titled ‘Zeitgeist’ which tried very hard to bring back the rawkk of olden times. It didn’t quite succeed and aside from a few bright spots, the whole thing sounded like a formless mush of modern hard rock. The dream pop element that I loved so much was missing. Coming back to 2012, Billy has recruited all new band members: guitarist Jeff Schroeder, bassist Nicole Fiorentino and drummer Mike Byrne and set out on an ambitious 44-song set called ‘Teargarden by Kaleidyscope’ of which this first one ‘Oceania’ is just a part. Phew!! .. But bombast and delusions of grandeur are nothing new to Billy. Their most popular (double) album ‘Mellon Collie And The Infinite Sadness’ could almost be compared to a sprawling art exhibition on a grand scale. Sure, there were fillers in there but I respected his vision for experimentation and art rock a la Pink Floyd. Those otherworldly qualities are thankfully back now. ‘Oceania’ is a bright and optimistic sounding tribute to their classic blend of heavy metal and dreamy psychedelia that they used to do so well! 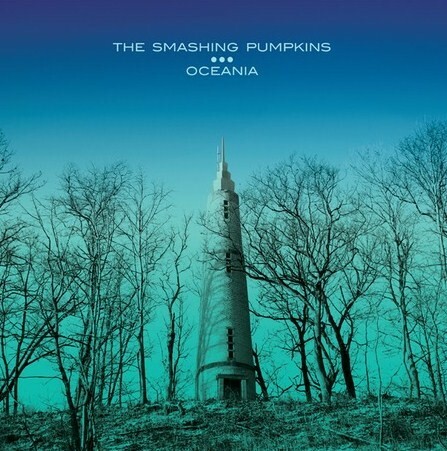 Right from the first track ‘Quasar’ it is evident that the old Pumpkins sound is back. The song is a delicious mix of crashing drums, distorted guitar and 60’s psychedelia. Mentions of Krishna and Om, plus an opening that sounds like a modern day version of ‘Cherub Rock’ only seal the suspicion that this is a celebration of everything ‘Gish’ and ‘Siamese Dream’. After that burst of energy, they deliver a second punch of delight with ‘Panopticon’ which does take a little bit more time to seep into you. Then come the strings of ‘The Celestials’, a lovely ballad which rocks almost as hard as it flows beautifully to end on a sustained solitary distorted note. As the album ambles along, there are many interesting sounds in tracks like ‘Violet Rays’, ‘My Love Is Winter’ and ‘One Diamond, One Heart’. When we get to ‘Pinwheels’ we are immediately hit with a gorgeously sunshiny opening that lasts for a good two whole minutes followed by soft acoustic guitar. Great stuff this! Next comes the epic title track which is like the Pumpkins’ version of ‘A Saucerful Of Secrets’ I guess. Took a while to grow on me but I really dig the prog rock tendencies of this song now. Halfway through, Billy stops singing suddenly and the song fades into a dreamy soundscape of distant drums and crazy guitar solos. After that comes the wonderfully chilled out ‘Pale Horse’. One of my favourites on this album, it is easy to get into and completely relaxes the listener. This whole album is just so happy-sounding… I love it! And none of it is cheesy. That’s the best part! As we approach the last stretch of the album, there are some tight rocking songs like ‘The Chimera’, ‘Glissandra’ and ‘Inkless’ which are quite enjoyable musically. These take longer to get used to though, than anything on the first half. Finally, the closer ‘Wildflower’ is okay. Didn’t like it all that much at first but now I can appreciate the music here, although Billy’s singing drones on a bit – a quality in his singing style I was never that big a fan of. Nevertheless, colour me surprised! After their several tumultuous years as a changing band, I did not really expect or hope for an album as sunny and glowing as this one. Looking at their discography as a whole, nothing will probably top moments like the last 2 minutes of ‘Hummer’, the skipping sighing beat of ‘1979’ or the entirety of ‘Mayonaise’ but I can confidently say that ‘Oceania’ is one of their best efforts that I have ever listened to. My favourite British pop songsters are back with a new album and they sound happier than ever! 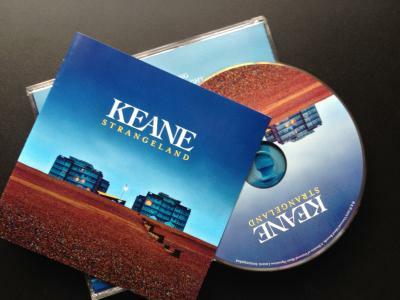 ‘Strangeland’ as it is called is a weird title because there is nothing strange about these tunes. It actually sounds more like a return to the lush melodies of their fantastic debut ‘Hopes And Fears’. That is not to say that this is necessarily a step backwards. Here is why. On first listen, the album sounds like a complete return to their roots. But after a few listens, it seems like most of the songs here are silent nods to bands and artists that they possibly admire. The most obvious one is ‘Silenced By The Night’ where I think pretty much every portion of it sounds like U2 circa 2004 viz. the tinkling and chiming ‘City Of Blinding Lights’. In fact I can totally picture in my head, Bono and the boys covering this one in concert. There is also ‘You Are Young’ which is a lovely, very U2-ey opener. Then there is the song ‘Black Rain’ which is definitely new territory for Keane where they sound more like Radiohead, to the point where Tom’s voice could be mistaken for Thom’s in some parts. But to me it doesn’t feel like a blatant rip-off, more like an inspired salute to the alternative rock veterans. Another one is ‘Neon River’ which reminds me of The Killers, in a good way. Call it coincidence that they too have in the past had a similarly titled ‘Neon Tiger’, not that the two songs are even remotely the same! The similarities lie mainly in the synth usage and the fact that I can picture Brandon Flowers covering this one. The last one reminding me of other artists is ‘The Starting Line’ which sounds a little bit like Oasis, particularly Noel Gallagher’s material. Nevertheless, it is yet another great track here. 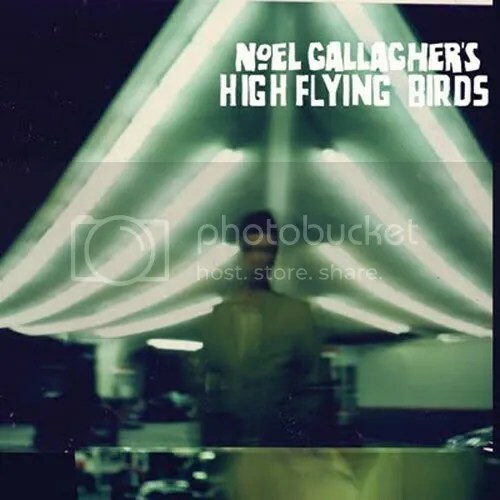 With that intro out of the way, I’ll talk about Noel Gallagher’s ‘High Flying Birds’. When Oasis split up I was pretty disappointed, not just because I was a big fan but especially since I had not seen them live. Anyway I was curious as to what the two quarrelling idiot brothers would come up with after breaking up the band. I heard about Liam’s Beady Eye (awful name by the way) but simply never gathered enough interest to actually check it out. The much more talented brother Noel was apparently busy with his own plans but somehow it slipped under my radar. I remember Beady Eye being in the news all the time. But I never once heard of High Flying Birds until recently in 2012 when I watched an interview of Noel on the Graham Norton Show. So somewhat belatedly I decided to check this album out. I’ve listened to it about 2 or 3 times all the way through now. To be honest, my first impression was very lukewarm. This one certainly is a grower. Let me explain. The first things that stood out to me were unfortunately the déjà vu moments (bordering on blatant rip-offs) scattered here and there. For example: Track 2 ‘Dream On’ sounds too obviously like Oasis’ ‘Lyla’ until it really gets going. Track 4 ‘The Death Of You And Me’ has a part where it sounds like Noel simply cut and pasted from The Beatles’ ‘Being For The Benefit Of Mr. Kite’ from Sgt. Peppers. Of course, I’m not really surprised considering Oasis’ track record in this matter. And I say this as a fan. They’re quite clearly big fans of the Fab Four. But I digress. Another example but a less obvious one is the song ‘Aka… Broken Arrow’ which is quite reminiscent of ‘Part Of The Queue’ from 2005’s Don’t Believe The Truth. Anyway, my point here is that these moments on the album could very easily put off a first time listener who may never give the album a second chance. But for those that do give the album a few listens at least, I think they would probably find this to be a pretty good collection of songs. And the funny thing is, once you start enjoying the memorable songs on this album, those aforementioned “heard before” moments quickly slip into the background. The third or fourth time that I listened to ‘The Death Of You And Me’, I hardly noticed the Beatles’ thing. So I will say that overall I do recommend this album. Stand-out songs here are opener ‘Everybody’s On The Run’, ‘If I Had A Gun’ which I heard live on TV and immediately liked it, ‘(I Wanna Live In A Dream In My) Record Machine’ and ‘Stop The Clocks’. The others are not bad but they take more time to grow on you. Overall rating: **** stars. X-Men: First Class – A terrific ride! Finally watched ‘X-Men: First Class’ last night. And it was truly first class! I remember watching the first two movies in theatres during the early part of the 2000’s. At the time I had no idea what the heck X-men was. I only went ‘cos my college roommates were going. I liked those movies but was not completely floored by them or anything. They looked like any other science fiction/superhero American film to me. But I have to say now that this new prequel really did bowl me over! From the very first scene where we see a mother getting separated from a son at a Nazi death camp in Poland in 1944, the movie just completely grips you and doesn’t let go; keeps your attention till the very end! Of course, the fact that I am a major history buff did help. This movie is filled with mid-20th century references like the Cold War and the Cuban missile crisis as well as actual footage of JFK’s speeches. And though the Holocaust is a very dark and morbid topic, I always find it completely fascinating when it is featured in films and covered well. So, this movie just seemed to have it all… fast-paced storytelling, excellent acting, interesting historical references, varied geographical locations and foreign languages. Except for Kevin Bacon, it has a list of relatively unknown actors (at least for me) but they all do such a stellar job! Particularly Michael Fassbender who plays Erik/Magneto. I may now go back and watch the X-men trilogy again. That’s the good thing about prequels if they are done well. They make you re-discover the original films and put the whole storyline in order. In some way or the other, we are all generally suckers for sequence and chronology. No wonder that this prequel business has hit the big time! As for ‘X-Men: First Class’, 100% recommended! LegalSounds.com – Great variety of music downloads at decent prices! Recently I discovered a website offering legal music downloads and I have to say that my experience with them so far has been quite awesome! They call themselves LegalSounds.com and appear to be operating out of somewhere in Russia. They offer a wide variety of albums and individual songs for a very nominal price, maybe the cheapest on the web! I had been looking for a particularly old and obscure album which was not available on itunes, Rhapsody, Napster or any of the main paid download sites. It was the new age/ethnic fusion group Deep Forest’s very first album from 1992. Legal Sounds not only had the whole album for download at US$0.90, I could download specific individual songs if I wanted for just US$0.09 a piece! That is a steal, if you’re a person like me very much into collecting and appreciating music and you do not want to literally steal from the internet. And besides, the free download links seem to be fast disappearing from blogs and Google searches. They all link to some sort of paid service nowadays. This site has a proper legal notice which states that Legal Sounds pays license fees for all the materials subject to the Law of the Russian Federation and that materials are available solely for personal use. The only thing to watch out for when becoming a member here is that one has to make a bulk payment of at least US$25 in order to start purchasing music. As you buy more and more, the balance gets deducted with the purchase amount until you have to replenish again. Obviously this works in the website’s favour as they have a chunk of money from you upfront and it also tempts you to purchase music more frequently than you probably would if you paid separately each and every time. But all that is down to self control issues which one can easily sort out! 😉 Bottomline is that this site is a great solution for music fans looking to legally download their music and not pay an arm and a leg for it. Disclaimer: I am not in any way affiliated or associated with LegalSounds.com. I live in South Africa and work in the private sector. This website apparently operates out of Russia. The veteran rockers of R.E.M. are back with a new album and it sounds happy and full of life! 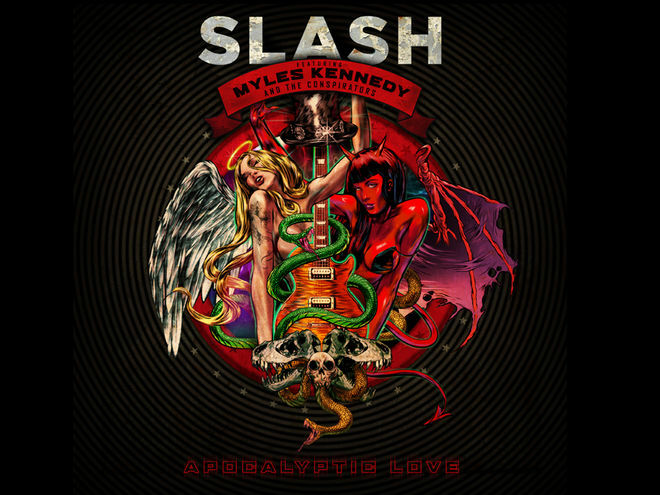 This album is basically what 2008’s ‘Accelerate’ was trying to be. After ex-drummer Bill Berry’s departure in the mid 90’s, the band went into an extremely melancholic, almost lackadaisical mode with their next 3 albums. 1998’s ‘Up’ at least had excellent songwriting throughout despite the lack of energy but the next one, ‘Reveal’ sounded totally lost and direction-less. With ‘Accelerate’, they regained a lot of that lost energy but somehow it ended up sounding like they were trying too hard to rock again. Now with this new one, they have managed to arrange together the perfect mix of catchy rockers, slower atmospheric numbers and pretty mid-tempo ditties. It all kicks off with a ringing rocker titled ‘Discoverer’ which is immediately reminiscent of something like ‘Finest Worksong’ off of ‘Document’. When I listened to the song-leak prior to album release, I was not that thrilled about it. But it has managed to grow on me over time. With track 2 ‘All The Best’ they come out all-guns-blazing and deliver a ridiculously catchy, fun song. The next one is a medium-paced, pretty little guitar track called ‘ÜBerlin’ which took me a few listens to really like. Musically, it sounds a bit like their song ‘Electrolite’ and lyrically it is Stipe at his most hopeful: “I will make it through the day and then the day becomes the night. I will make it through the night.” It also has a cool little musical bridge just before the last verse that I really love. Then we go on to a song called ‘Oh My Heart’ which despite its somewhat cliché lyrics, has a pleasant swinging rhythm to it. It answers the question asked by the song ‘Houston’ on the previous album, by stating “The storm didn’t kill me. The government changed.” Track 5 ‘It Happened Today’ is the one with Eddie Vedder on guest vocals. And for all the excitement it brought up in my mind just because I was going to hear Eddie’s awesome voice, I think the song kind of fell flat. The chorus is nice enough but there doesn’t seem to be much substance to the whole song and one can hardly even hear Eddie’s voice clearly except at the very end. ‘Every Day Is Yours To Win’, a mellow track with positive life affirming lyrics sounds a bit too much like their classic ‘Drive’ as it gets going. It ends up being a cheerful sing-along that is not remarkable but rather harmless in the middle of the album. The second half kicks off with ‘Mine Smell Like Honey’ which has classic rocking R.E.M. written all over it. The song has a catchy chorus but is not my favourite here. The next one titled ‘Walk It Back’ sounds very different from anything they have written so far, a pleasant pop song to change the pace a little. Track 9 ‘Alligator Aviator Autopilot Antimatter’ is great fun to listen to but is basically made up of nonsensical lines like “I feel like an alligator climbing up the escalator” and “I’m the world’s strongest island”. It features guest vocals by Peaches whose voice seems to have an uncanny resemblance to that of Kate Pierson, their well-known guest vocalist from years past. Track 10 ‘That Someone Is You’ is a quick rocker which I quite enjoy listening to. The lyric “That someone has pulled me up and out of cartoon quicksand” is amusing because Stipe has used “cartoon brick wall” before on the album ‘Up’. Anyway, recycling aside most of these songs are catchy and memorable. The next track ‘Me, Marlon Brando, Marlon Brando And I’ is a pensive ballad that reminds me of songs off of ‘Green’ or even ‘Automatic For The People’. This is the kind of stuff that was missing on their previous album and gives this one a fuller feel. Final track ‘Blue’ features their other famous friend Patti Smith on guest vocals. As soon as the melancholic strumming guitar comes through the speakers, one is reminded instantly of ‘Country Feedback’. I mean, it is a pretty blatant lift from R.E.M.’s own material. Then as Stipe starts doing his talk-singing thing and Patti croons lazily over the tune, one cannot help but wonder if this is ‘E-bow The Letter’ Part 2. Just before the end, the tune stops abruptly and you hear the ringing guitar of first track ‘Discoverer’ again. They end the whole thing with a reprise of Discoverer which makes it nice to listen to this album in a repeat loop. So in summary, except for a couple of average sounding numbers here and there, this album is for the most part amazingly fun to listen to. Stipe sounds joyous and full of life as he raps “This is my time and I am thrilled to be alive. Living. Blessed. I understand. 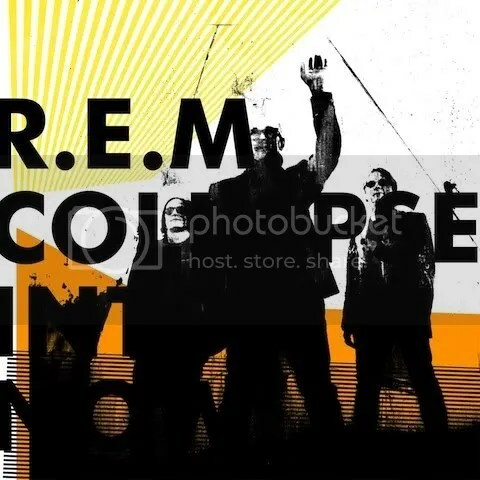 Twentieth Century Collapse Into Now.” This is the most complete album they have made since ‘New Adventures…’ or ‘Up’ and it shows! They play to their strengths here by revisiting various sounds from their thirty year history and in the end it doesn’t really sound like a rehash. If this were their last album (which it could very well be, sadly), it would be an awesome high to go out on! All in all, a good album by a great band. I have a sort of morbid fascination towards films centered on the Holocaust. ‘Schindler’s List’ and ‘The Pianist’ are two of my all-time favourite movies. When I heard about this one, I had immediately put it on my wish list of movies to watch. After not being able to find it in any local rental libraries, I finally bought it sometime back and watched it. It is an absolutely stunning and heart-wrenching film about how the family members of a German Nazi officer get personally affected by the atrocities happening around them. It starts with the Nazi officer being posted to a concentration camp and the accompanying family has to live in the housing quarters nearby. The family includes his wife and 2 kids, a boy and a girl. The kids have to leave their friends behind and find it difficult to adjust to this new life in a strange new place. The boy in particular has a difficult time coping, being the younger one and is always bored and itching to explore the new surroundings. The girl finds it easier, especially after getting caught up and brainwashed in Nazi propaganda by a teacher who home-schools both kids. So, while the girl is putting up racist posters in her room and following in the footsteps of her dad, the boy tries to hide from his worried mom and sets out exploring in the wooded area nearby. He soon finds the concentration camp and makes friends with a Jewish boy of similar age on the other side of the barbed wire fence. This is the first interesting person he has met in this boring new place, so the German boy is delighted. He spends some time every single day with this Jewish kid and even secretly brings him food from home. The conversations he has with this boy are very interesting and often touching. They show the innocence and curiosity of these little boys who are caught in a nasty web of discrimination that they have little control over. There is another character, an elderly Jewish gentleman, who works for the family doing odd jobs around the house. He is shown as a likeable, patient man who doesn’t hesitate to crack a smile on his weathered face despite being unfairly treated by almost everyone around him. The movie has a powerful ending that would leave a lasting impact on the minds of anybody watching. The Nazi general doing his duty for the country, the wife who doesn’t approve completely of her husband’s job, the earnest young brainwashed daughter who is clueless about wrong and right, all get affected by the actions of the young boy who does the unthinkable and makes friends with a Jew. This really is a great film worth owning!